Click here to search the contents of the Don and Heide Wolff Jazz Institute & Art Gallery. Clicking on the above link will direct you to a new Web page. On that Web page, there will be a box on the top left called “Quick Search.” In this box, you will see the word “for:” in which you should type “Wolff Jazz Institute.” Then hit the “Go” button, which is just to the right of where you typed. All the contents of the Don and Heide Wolff Jazz Institute & Art Gallery will then be listed. You can scroll through the list, or you can search within the contents. From the drop box, you can select one of the following options to search by: author, title, journal title or word. After choosing the appropriate option, type the word or words in the box to the right. Then click on the “Search” button to the right of that, which will narrow down the list for you. 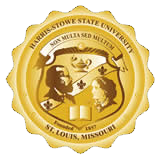 If you have difficulty navigating through this system, please contact Bernard Hayes, curator of the Wolff Jazz Institute & Art Gallery at (314) 340-5773 or via email at HayesB@hssu.edu.